Now, I don't do many rave reviews as you all know. So far. the only product that has really wowed me in the last months has been the IOPE Air Cushion XP (and my excitement for it backfired, since many friends and relatives have asked me to get it for them...). 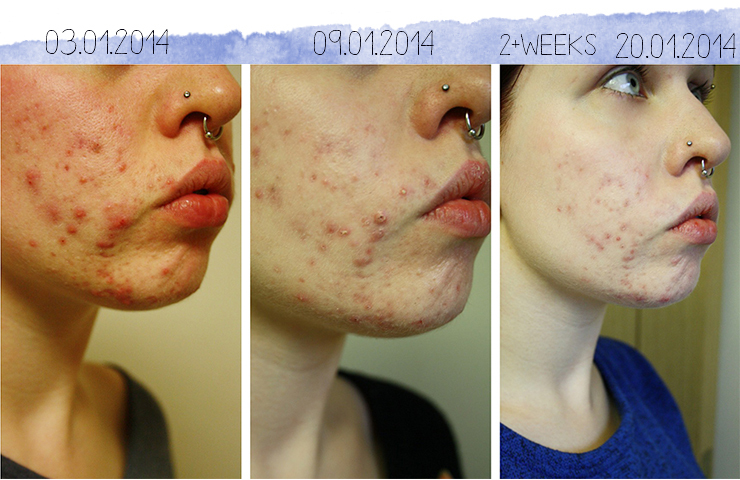 When I went off my acne medication, my skin was going crazy (although the medication wasn't really helping me in the 3 months I took the antibiotics!) and I had deep painful cystic acne ALL OVER MY FACE. I kid you not and I got picture proof - always thinking of this blog lol. 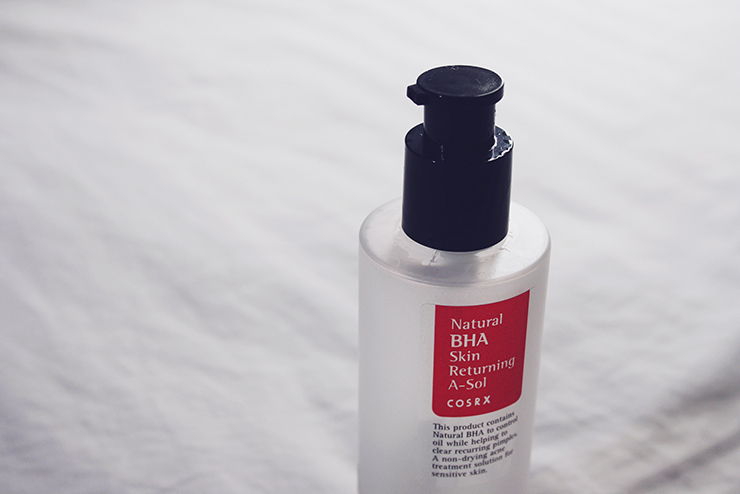 Anyways, the COSRX Natural BHA Skin Returning A-Sol is the only product that has made a visible impact on my skin so I present you: the review I couldn't wait to write for the last 2+ weeks! Chemical exfoliants (AHA or BHA) should always be applied to the cleansed bare skin (no toner, moisturizer etc. beforehand, only cleansing) or it will not be able to work/penetrate your skin properly. If you want to weaken the strength/effect you can layer a moisturizing product underneath but you don't get all the benefits you would get otherwise - this is great though if your skin reacts too sensitive to "pure" BHA application. After application, you should wait 20 - 30 minutes to let the exfoliant do its work. After 30 minutes the effect significantly weakens and you can proceed with your regular skincare routine. Not waiting the full amount of time might lead to the exfoliant not being able to work properly on your skin. Chemical exfoliants make skin more susceptible to photoaging. In some people, this sun sensitivity can increase by as much as 50 percent. This is why most people chose to use it in the evening only. However, this sensitivity can linger up to 7 days(!) so make sure you always wear plenty of sunscreen, even if you only apply this in the night. Got everything? Then let's get started! The A-Sol is in a plastic bottle with a plastic pump dispenser. Since I travel so much and will have to order this from overseas I'm happy it is made out of plastic (although I usually prefer glass). It also means I can drop it without it shattering into 1000 pieces. Be careful though and always have the bottle stand somewhere - my BHA was in my cosmetic pouch and it leaked about 3/4 of the bottle!! I was so so so sad....you will soon see why. SO SAD. This would probably have lasted me a really long time so always make sure to store it in a horizontal position. 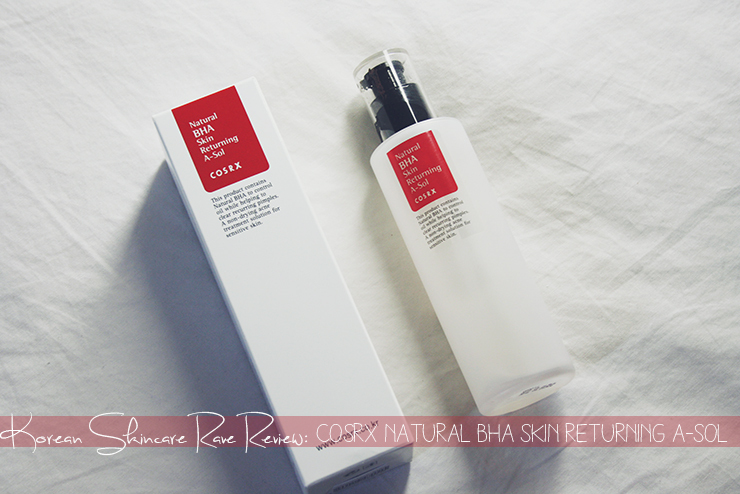 What I love about the COSRX brand is that they try to keep their products on a minimal ingredient list an also explain what exactly is in there and why, I wish more brands did this! Also, the main ingredient of this is Propolis Extract (60% it says on the Korean package) which is a great mild natural(!) substance to fight acne and bacteria (and even herpes which is probably the most annoying infection you can ever get). 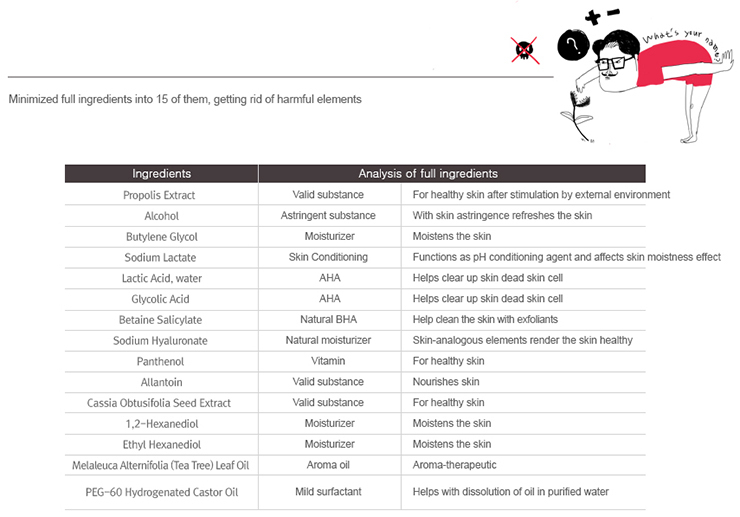 The only downside here is that Alcohol is on the second place in the ingredient list - this can be a big problem if your skin is sensitive to alcohol - mine luckily is, despite my acne, strong as steel and doesn't care about alcohol in my skincare. The formula itself resembles water except for a strong propolis/tea tree smell. I personally love tea tree but I know there are quite some people who cannot stand the smell. 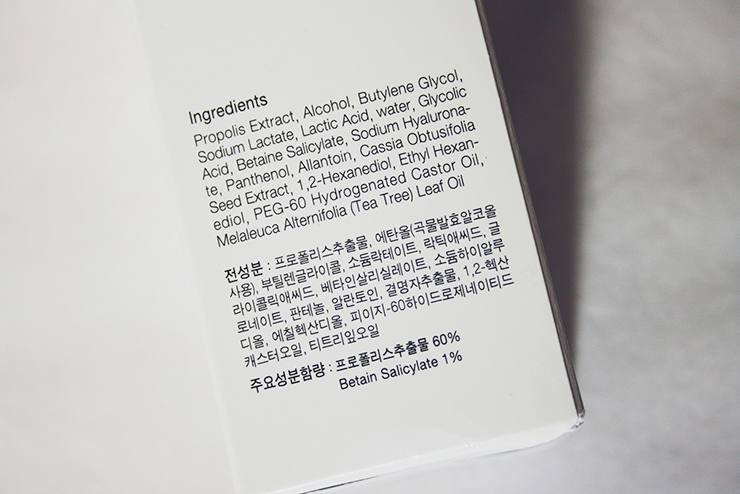 Jolse does carry a similar product from the same brand, the COSRX BHA Blackhead Power Liquid but be aware, it has completely different ingredients (click me!) and seems to be a general BHA treatment while the A-Sol here is mainly a spot treatment for acne. Since the A-Sol is as runny as water, I just dab it on my problem spots (chin and cheek) once or twice daily with my finger as I am too paranoid about my cotton pad soaking up all of the product. It is only noticeable on the skin for about 30 seconds to a minute until it's fully absorbed and doesn't leave a sticky film. But, let's get to the interesting part: (How) Does it work? ...how could I ever live without this?! As I already told you and as you can see here, I had deep painful cysts all over my chin and cheeks when I returned from Japan as I didn't take my acne mediaction anymore because it created stomach problems and strong cramps while doing close to nothing for my skin :( I came home and was pretty much devastated - my skin has never ever been that bad. Not to say it was painful as hell. So I really had nothing to lose by trying this and wow, it has made all the difference in the world. After the first night, somehow my skin was a lot calmer the next day. I couldn't believe it and thought "you're probably just imagining it". After three days, my acne had significantly calmed down. 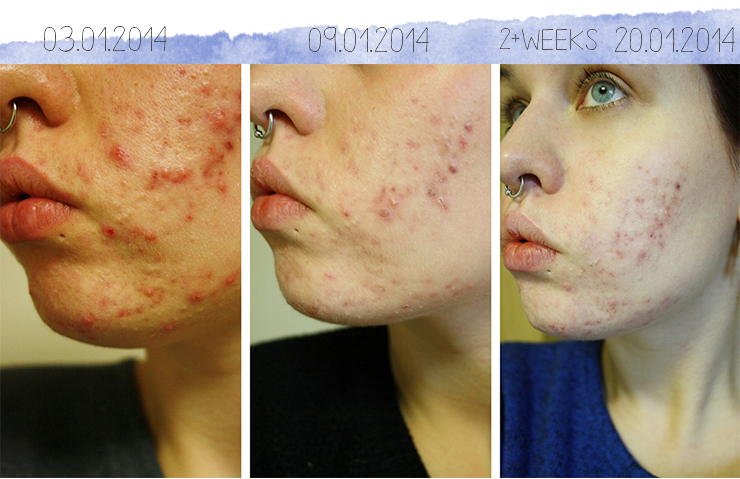 By 6 days most of my cystic acne was completely healed and I was only left by scabs and PIH. 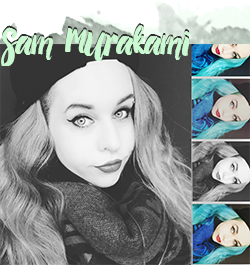 I thought it didn't do much for me but when I look at the pictures I can still see improvement although slower. My skin is very smooth when before it was a bumpy battlefield and I could cry because I don't want to hide in a corner anymore because of my skin; I actually like how my skin looks and although I still have so many red spots it feels completely different. Final Verdict: Buy this! It will change your life! Or...at least make your pores more happy. If you have oily skin, problems with sebum or cystic acne, this is the thing to go for. Just be aware of the high alcohol content if you're sensitive to that kind of thing. Until further notice, I pledge my allegiance to COSRX and advise you to do the same. 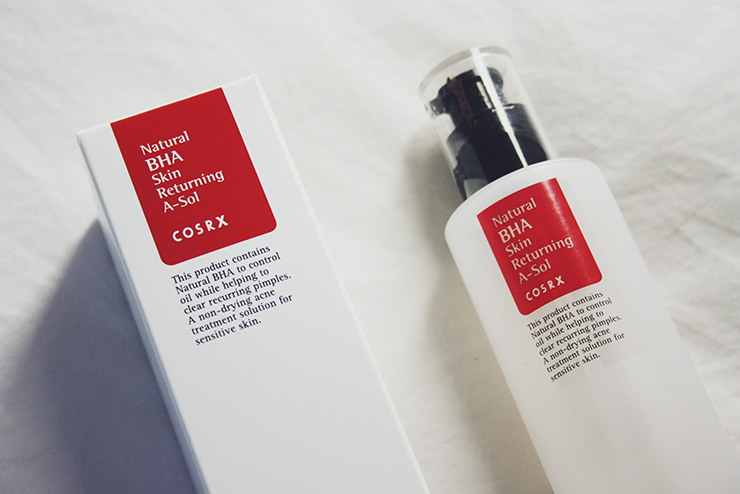 COSRX Natural BHA Skin Returning A-Sol retails at Jolse for 15,98$.